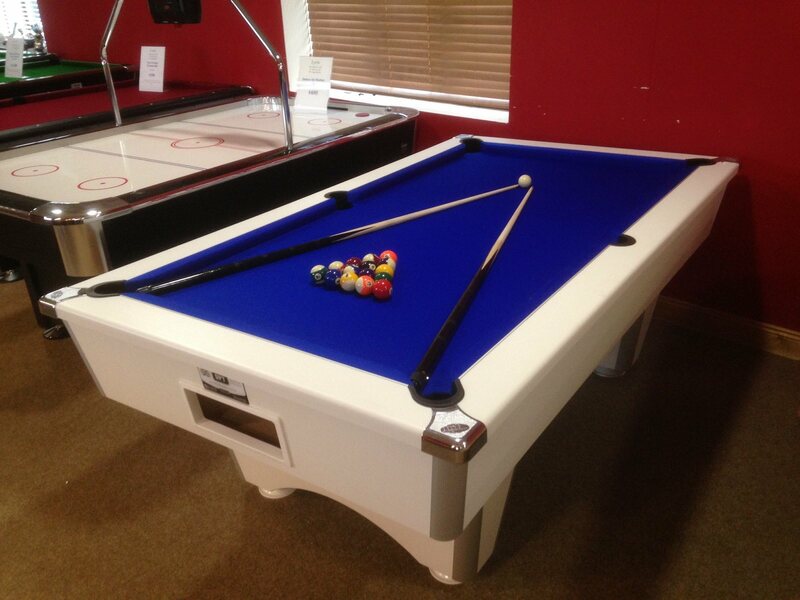 7ft Supreme Winner, comes complete with all new accessories - cues / set of balls / triangle / chalk & tips. 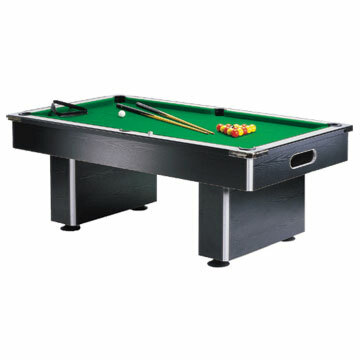 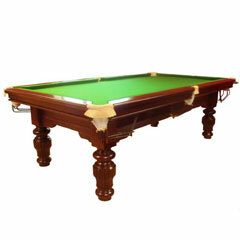 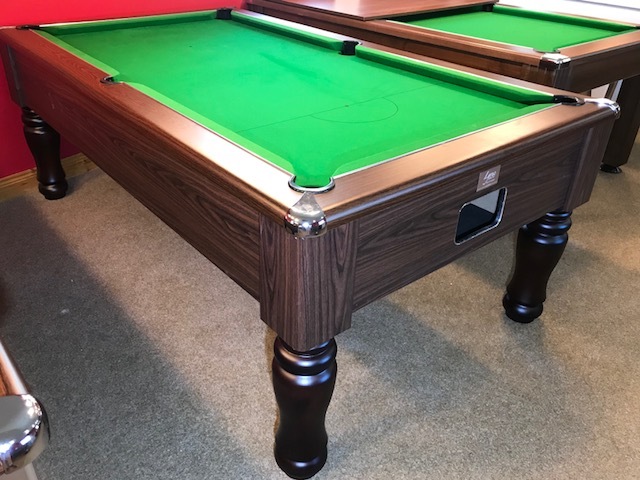 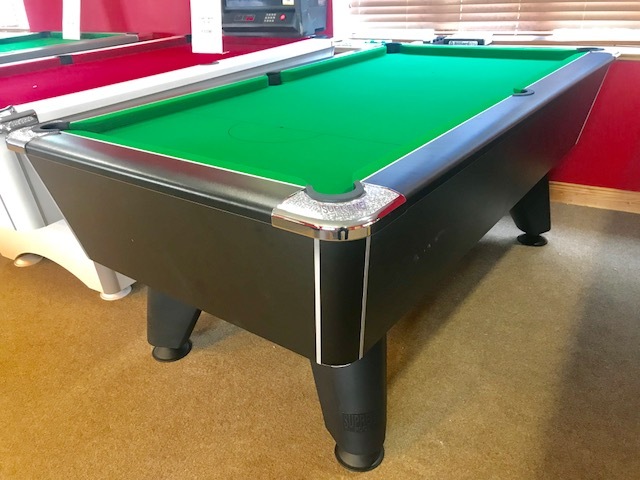 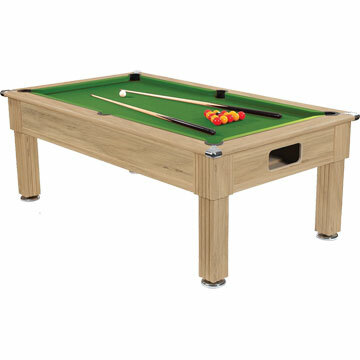 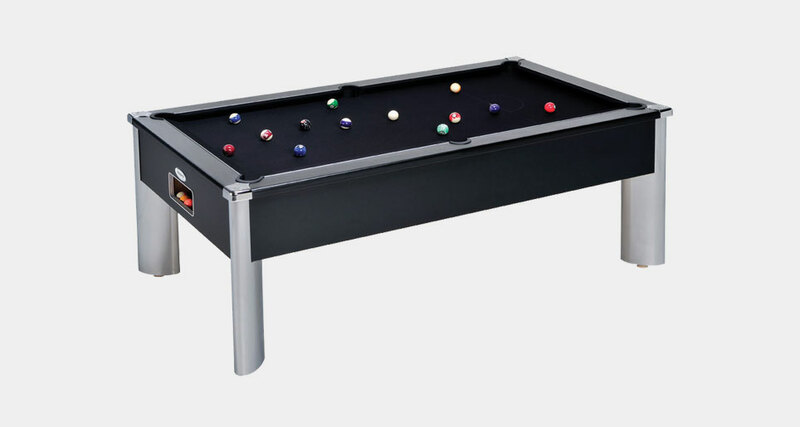 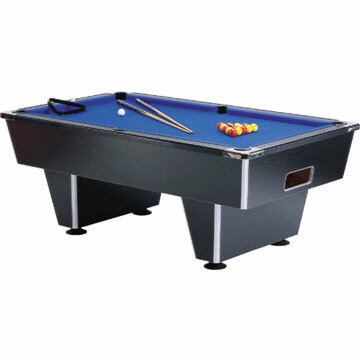 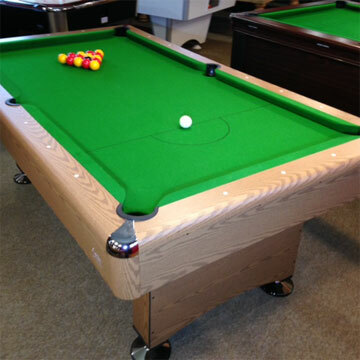 Manhattan Pool Table 6ft or 7ft Top quality choice of black or walnut finish. 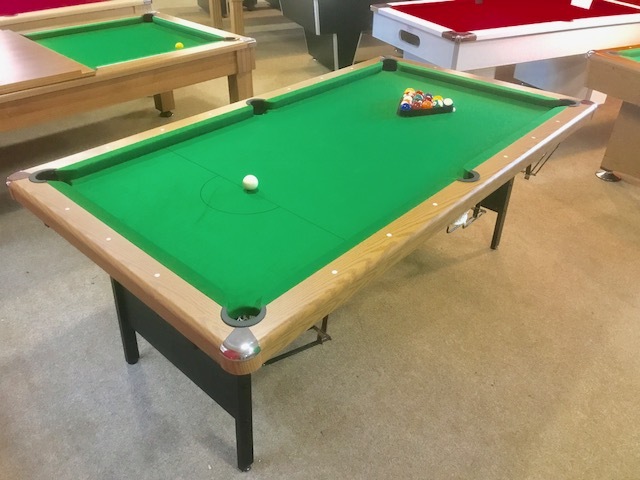 Choice of solid brass or chrome trimmings. 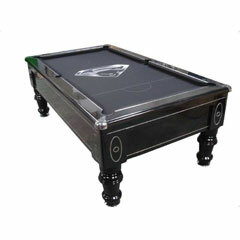 Superman cloth is a specialty cloth which would be an extra cost on the table priced.